March 1, 2016 – Mission Woods, KS. Great Range Capital led a team of investors, as well as company management, in acquiring Apple Bus Company, a leading provider of school bus and transit transportation services headquartered in the Kansas City area with operations from Texas to Michigan. Apple Bus provides services ranging from pupil transportation management, public transit and non-ambulatory van service to transportation consulting and transportation technology enhancement and management. “Apple Bus has a long history of providing best-in-class service to its customers. It was clear to us that everyone at Apple Bus believes in the value of hard work and the importance of customer relationships, which made it attractive to our team of investors who also share those beliefs,” says Paul Maxwell, managing partner, Great Range Capital. Apple Bus Company was started by industry veteran Mike Oyster in 2000 and has grown through Mike’s and his son Reid’s leadership. The Oysters remain significant owners of the company and are actively involved in daily operations. One of its many unique qualities is that Apple Bus is large enough to provide the highest level of service and at the same time small enough to be aware of and responsive to individual needs. 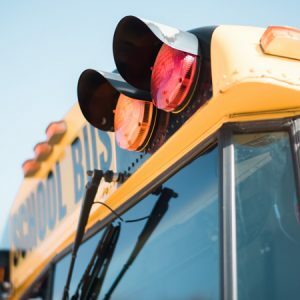 “We are excited to partner with the Apple Bus Company team to support their growth and their mission to set the standard for safety and quality of service for the pupil transportation industry,” explains Maxwell. Great Range Capital, a private equity firm based in greater Kansas City, primarily targets controlling equity investments in Midwestern companies with revenues ranging from $20 to $150 million. Learn more about Great Range Capital at www.greatrangecapital.com. Or, to find out more about Apple Bus Company, visit www.applebuscompany.com.